In 2006, Michael was commissioned by the UK Houses of Parliament to paint the then Lord Chancellor, Lord Falconer, for the House of Lords collection. 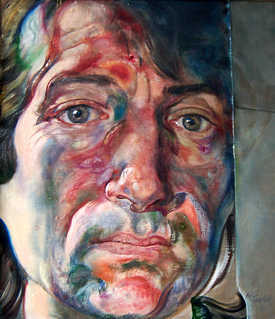 The reform of the role in 2006 has meant that in effect the painting marks the last in a line of such portraits stretching back to the Norman Conquest. The portrait was unveiled at the house of Lords on July 9th 2007. One man show at Waterhouse and Dodd, 26 Cork Street London, 22nd November-22nd December, 2006.